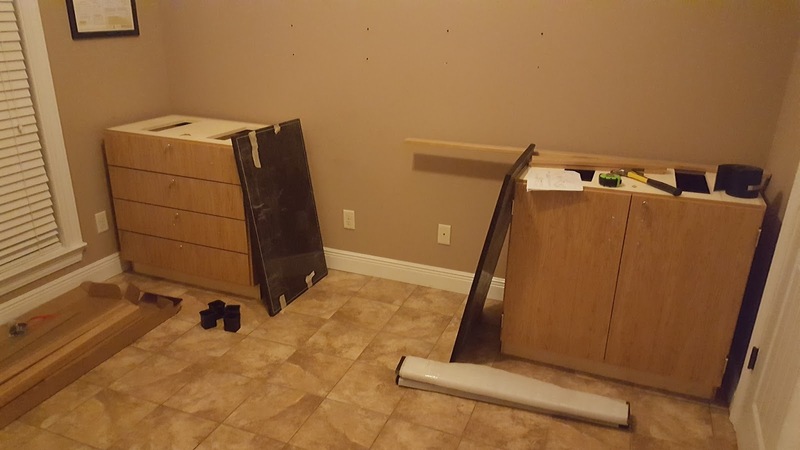 The Home Scientist: Major Lab Renovation Part 3: Furniture! 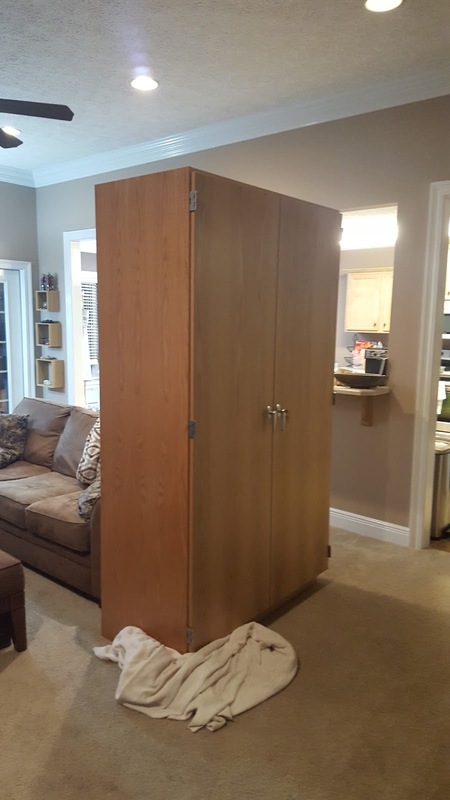 I ordered a total of four items: a nice lab table, two small "base cabinets," and a large "tall cabinet." 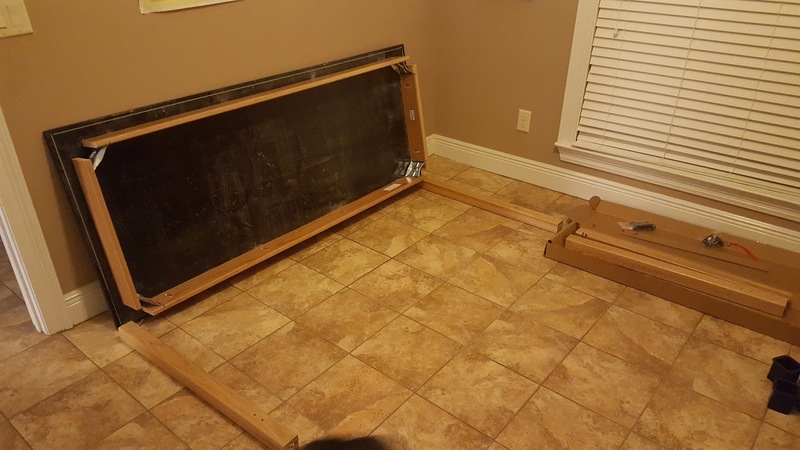 All items were ordered from School Outfitters, a supplier I found online after a long search for someone who would sell an individual some real lab furniture. The furniture is manufactured by Diversified Woodcrafts, and I have to say it's very high quality stuff. These items have solid black epoxy resin tops, exactly like the ones found in real school lab classrooms. 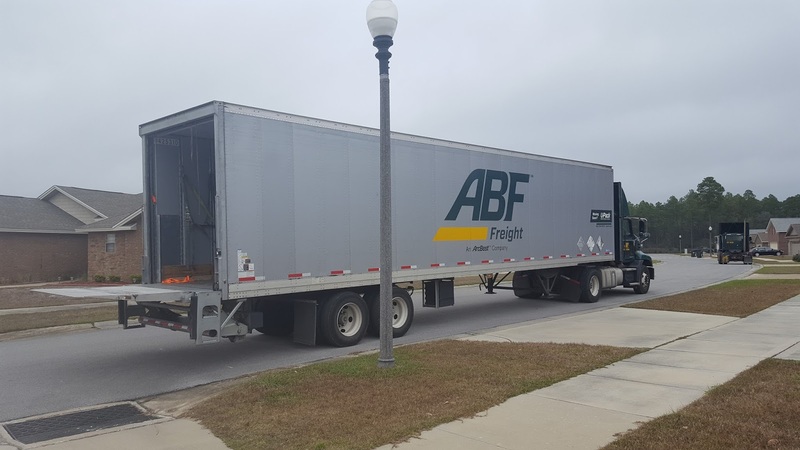 In fact the vendor, as you might have guessed from the name, supplies this furniture to schools across the country. I actually have some of these exact pieces in my lab at work too! These epoxy tops are expensive, but very resistant to a wide range of chemicals as well as high temperature; perfect for lab work! The minor problem here is that the lock on the bottom drawer of the left cabinet refuses to unlock, with any of the four sets of keys I was given. I am working with the vendor to resolve this; I think it's a defective lock. Otherwise these pieces look great and I can't wait to assemble them this weekend. The final piece is the tall cabinet, and this thing is seriously massive. It measures 48" wide, 22" deep, and 84" tall. That's two feet wide and a full seven feet tall! I measured out the room and planned to fit it in between the two small cabinets, but here's the major problem: this monster will not fit through the hallway into the room. It's 5" taller than the door frame, and we can't tilt it over to fit it in because it's so wide that there isn't room in the hall to tilt it far enough. We even measured the window to try to get it through there, but it's just too big. This furniture is built incredibly solid and there's no way I can see to take it apart to put it back together in the room either. So lesson learned: not only should you measure the space in the room for your new furniture, you also need to measure the hallway that leads to it! I'm working with the vendor to figure out what to do. Returning it is going to be a nightmare in extra cost and effort, so currently the most promising option is putting this bad boy in the room next to the lab and ordering another small cabinet to fill the space it was supposed to fit in. We'll see though, and I'll post an update when I figure things out. It really annoys me that there are so many companies that will not sell to individuals, even though we/I have been approved by the state to use regulated items. Makes less sense when it's furniture they won't sell either. I think once you get it all sorted out, your lab will look great.